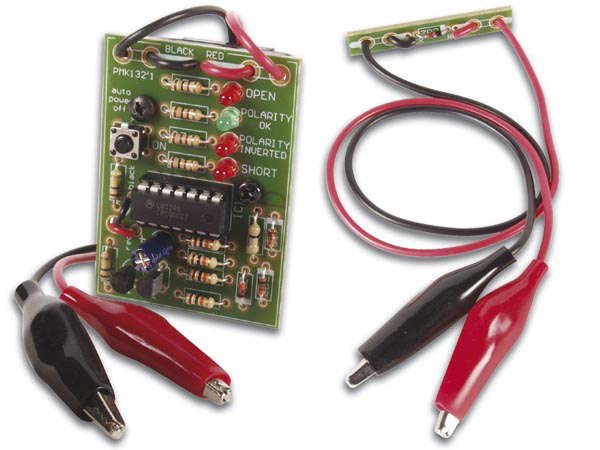 Velleman MK132 Cable Polarity Checker Minikit. Check cables for continuity and identify individual wires. Perfect tool to check speaker cable polarity. LED indication for open circuit, shorts and correct or wrong polarity. Push-button operation with auto power off.